(4 May 2018 / Palma de Mallorca, Spain) - Day Two at Sail Racing PalmaVela hosted by Real Club Nautico de Palma brought the number of completed Melges 40 Grand Prix races to five, leaving the general classification with very tight standings. 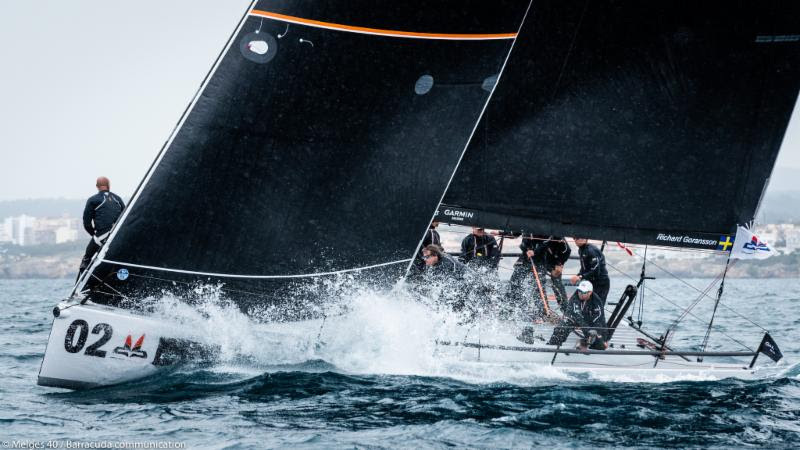 Four teams have finished the day within one point of each other, proving that the Melges 40 is one of the most competitively balanced fleets in the world. Richard Goransson's INGA FROM SWEDEN (Cameron Appleton, tactician) remains in the overall lead. A fifth, and a second place finish has helped him stay in the top spot, ahead by just one point. Japan's Yukihiro Ishida sailing SIKON (Manu Weiller, tactician) came to play today with his game face on taking the win in Race Four, just ahead of Italy's Andrea Lacorte on VITAMINA CELADRIN (Branko Brcin, tactician) in second, followed by Alessandro Rombelli's STIG (Francesco Bruni, tactician) in third. It was Ishida's first bullet of the 2018 season. The second race of the day, Race Five went to Valentin Zavadnikov's DYNAMIQ SYNERGY (Michele Ivaldi, tactician), giving him the most wins so far at Sail Racing PalmaVela. "The racing is simply fantastic," said Zavadnikov. 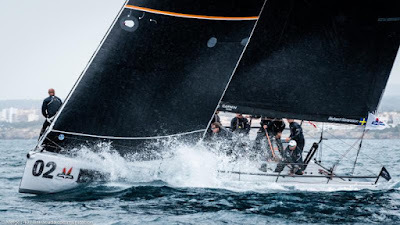 "Racing like this, on an equal footing, just a few meters apart from each other, on the super-performing Melges 40... it's all that a sailor can desire. We, like our opponents really push everything to the max, which doesn't necessarily mean we always have good results. The success can only be found in the details of the Melges 40. Today, we are satisfied. We've won two out of five races, and are only one point away from the event leader. We have to stay focused, and keep working hard." With two more days of racing left, Zavadnikov, Ishida and Rombelli are all matched on equal points. Consistency and strong performances that bolster the right moves with the best speed will be critical for tomorrow's success. Any of these teams could easily be the new event leaders.